Chaouki T. Abdallah started his college education at the Ecole Supérieure d'Ingénieurs de Beyrouth - Université Saint-Joseph in Beirut, Lebanon, but finished his undergraduate studies at Youngstown State University, with a Bachelors of Engineering degree in Electrical Engineering in 1981. He then obtained his MS and Ph.D. in Electrical Engineering from GA Tech in 1982, and 1988 respectively. He joined the Electrical and Computer Engineering department at the University of New Mexico where he is currently professor and Provost of the University. He has published 7 books and more than 300 peer-reviewed papers. His Ph.D. students hold academic positions in the USA and in Europe, and senior technical positions in various US National Laboratories. 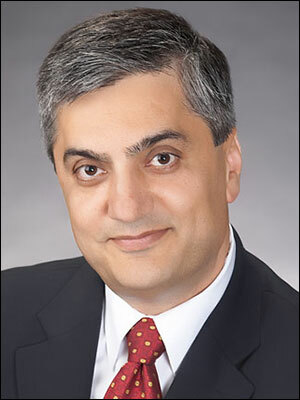 Professor Abdallah is a senior member of IEEE and a recipient of the IEEE Millennium Medal. He is also active in the IEEE Control Systems Society most recently serving as the general chair of the 2008 Conference of Decision and Control CDC 2008.